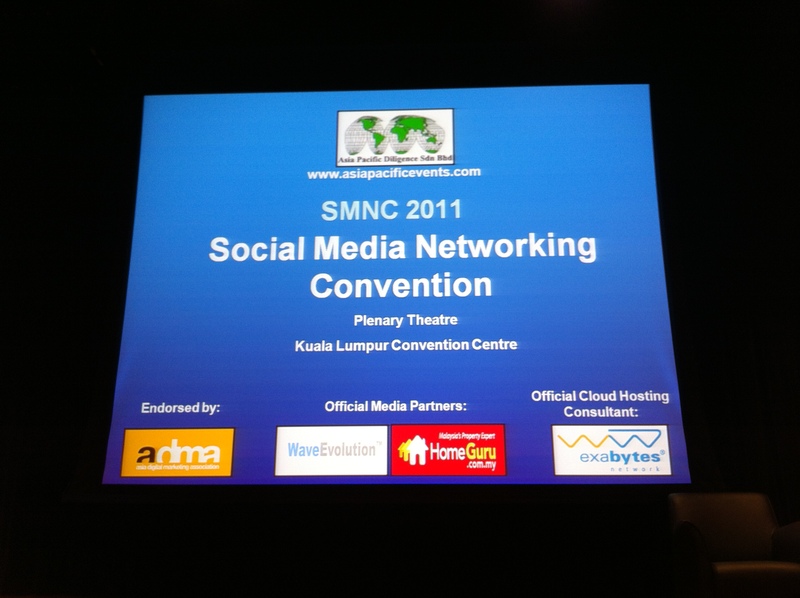 Social Media Networking Convention, a must-attend event for Internet marketers, IT entrepreneurs, businessmen or people who simply wish to know more about the power of social media sites for eCommerce was held at Kuala Lumpur Convention Centre in Kuala Lumpur City Centre on 9th of December 2011. A grand scale IT event with a long list of famous and highly experienced invited speakers, it attracted thousands of people and Exabytes is too proud to contribute its part as the official cloud hosting consultant. List of exhibitors was endless and it included some of the industry heavyweights such as Facebook, Nuffnang, Groupon Malaysia and many more. Event highlights that stunned our participants included Social Media Shopping – The New Trend, Social Media & Fashion – The Twain Shall Meet, Marketing Through Social Media – Optimizing Resources with Right Channel Selection, Social Advertising – The Way to Go, Effective Blogging for Business, Integrating Social Media and Online Advertising, Integrating Social Media with CRM, Social Media and Cloud Computing – Convergence or Divergence, Harnessing Social Media Innovations for Corporate Objectives, Internet Trends, Digital Development and Online Behaviour in Malaysia. The event kick-started at 9.00am by Mr. Jakob Lykkegaard Pedersen, Co-Founder of Pagemodo who spoke on Social Media Marketing and Branding – How to do it with Facebook. It was then followed by Mr. Timothy Tiah, Co-Founder of Nuffnang Sdn Bhd who dished out valuable tips on How to Get People to Talk about Your Brand on Social Media. Subsequently, Mr. Ryan Pham, Sr. Regional Online Marketing Manager of PropertyGuru brought us the interesting topic on Marketing Real Estate Through Social Media – Do’s and Don’ts. Participants had Q&A session and coffee break from 10.30am to 11.00am before talks resumed. Next, Mr. Joel Neoh, CEO of Groupon Malaysia stepped forward to give us his insights into Social Media Shopping – The New Trend. Later on, various highly experienced and respected leaders came on stage and touched on numerous different topics, among them Mr. Ryan Lim from Blugrapes Pte Ltd on Success Metrics of Social Media Marketing, Ms. Cheryl Tan from Clozette Pte Ltd on Building Aspirational Communities for Fashion & Beauty Brands through Social Influence and Digital Content Engagement, Mr. Christian Geissendoerfer from YOOSE on The Rise & Rise of Location Based Services through Mobile & Social Media, Mr. Chung Jaan Hao from MNC Wireless Bhd on Social Media Currency: The Key to Social Media Success, Mr. Rene E Menezes from Better Digital Solutions on Better Partner Facebook and many more.